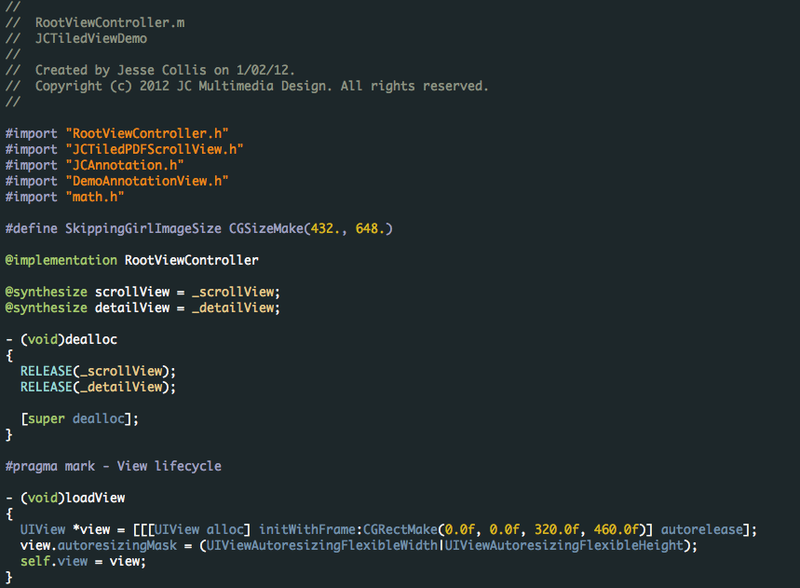 I made some adjustments to an Xcode theme that I’ve been using for the last twelve months or so. To coincide with my February 2012 Cocoaheads presentation I have open sourced a component named JCTiledScrollView. JCTiledScrollView is a set of classes that wrap UIScrollView and CATiledLayer. The project to simplify displaying large images and PDFs at multiple zoom scales. As the project evolves it’s moving towards becoming a fully featured custom map view replacement with gestures and annotations. Check out JCTiledScrollView on github.